There are lots of reasons why Freefoam's PVC range is the eco-friendly choice for your roofline replacement. And always have been. While some rival products have a lead free outer skin, the foam core inside still contains lead. Freefoam is lead free throughout so you can be sure when you choose it for your roofline it won’t harm your family or the environment. We currently recycle 85% of the waste from our manufacturing process. We have also managed to reduce our energy consumption year on year and are committed to achieving further reductions. The longer something is in use, and the less maintenance it requires the smaller its “lifetime” costs. 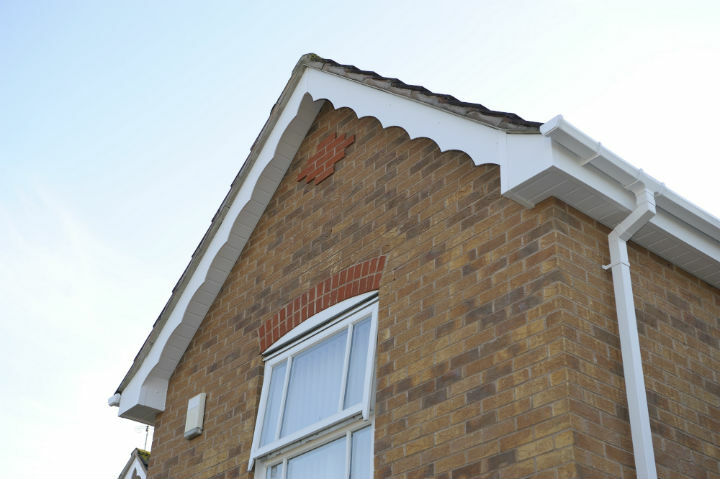 Freefoam fascia, soffit and guttering products are guaranteed to last 50 years. Unlike wood they will continue to look good and work perfectly with the bare minimum of maintenance without needing to be repaired or replaced for decades. Because our products are made from PVC, when they finally reach the end of their life they can be recycled and used to make new PVC from which brand new products can be made. PVC can be recycled in this way up to 20 times! Why replace Wood Fascia with PVC? It’s not always easy to understand the reaasons why PVC is a good choice for your home. We’ve put together a quick guide to help explain the benefits of pvc and how it’s a cost effective choice. Over 50 years the average installation costs just 0.1p a day! Our installer did a superb job, extremely efficient and courteous. We would have no problem recommending your product and installer.